Any sci-fi fan will have watched Ridley Scott's well-known 'Alien', and you can bet it's high on most of their lists. It's always been a favourite of mine, having the right combination of action, gore, and scientific/philosophical wondering (and an awesome lead, of course). 'Alien 2' was still good, albeit slightly more focused on the violence than the deeper questions, and then the series did what all film series seem to do - not one further film lived up to the original. 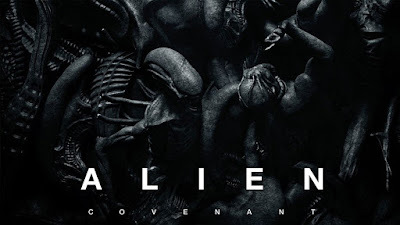 'Prometheus' seemed to bring the standard up again a bit, so I think we were all hoping that 'Alien: Covenant' would be the one. Set 11 years after the events of 'Prometheus', the Covenant and its crew are on their way to find a habitable planet where they can set up their colonists. Very early on disaster strikes as an unexpected space event occurs, leading to the death of the Captain and further structural damage. However, a seemingly perfect planet comes into view, complete with a human transmission, and new Captain Oram (Billy Crudup) decides to listen to the worries and warnings of the rest of his crew and promptly dismiss them, instead getting ready to land and hopefully colonise the mysterious haven. In classic 'Alien' style things go from bad to worse very quickly as the crew realise that they are not alone, and many of the action scenes throughout 'Alien: Covenant' play homage to the original. The familiarity to the first film is good (there's nothing worse than an instalment bearing no resemblance to the series you've grown to love) but there's a big issue with this: the film doesn't bring anything new. We already know what happens when someone has an alien grown inside them, and when another person goes near a facehugger egg, so watching the same old content in a different setting somewhat ruins the suspense. There's so much focus on these scenes that there's very little character development - you'll often find yourself forgetting that the crew actually know each other, and that some of them are even married to one another. Deaths happen, and yet I couldn't tell you who those deceased characters happen to be or really what role they played within the crew as they were all just so forgettable. Despite this, the standard of acting is generally really good, in particular from name (played by Katherine Waterston, who has been seen recently in 'Fantastic Beasts and Where To Find Them'), who again plays a strong female lead that the viewer can identify with. Fassbender is excellent as both Walter and David, this time playing a pivotal role in the main story line and showing just how flexible he can be as an actor. What really made the film was the use of effects - something that the 'Alien' franchise has always been good at. There's plenty of gore to go around, as you would expect, but the quality of the visuals were wonderful to look at, from stunning landscapes across the new planet to finally being able to witness the xenomorphs in an environment that's not overly dark and cramped. It's just a shame that the film couldn't have kept up the standard we see during the first hour or so for the whole of the film, as it really did start off well. It was too predictable though, and I found myself clock-watching more than once. 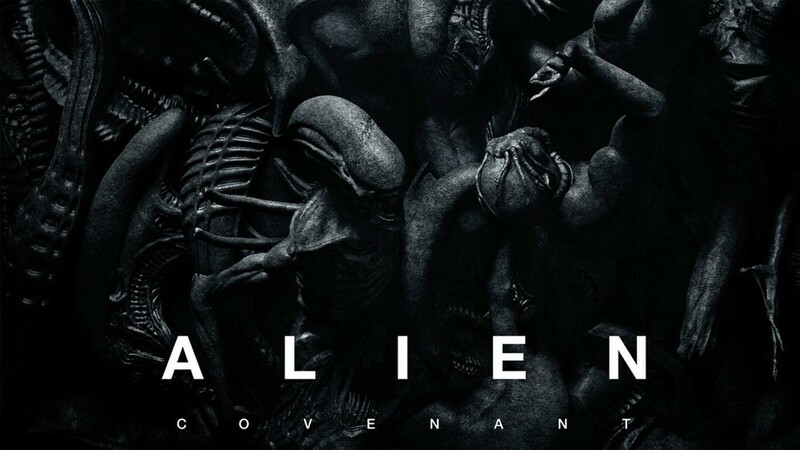 The ending definitely hinted that this won't be the last of the 'Alien' franchise so despite feeling a bit disappointed I'll still be watching the next one - Scott needs to bring something a bit different next time round though if he truly wants to resurrect what was once an iconic sci-fi series.